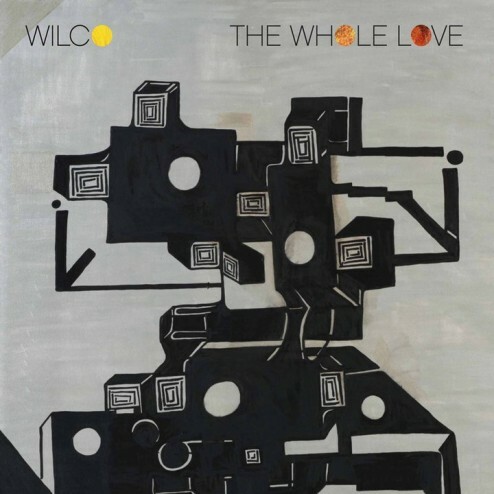 Halfway through “I Am Trying To Break Your Heart,” the leadoff track on 2002’s “Yankee Hotel Foxtrot.” That’s when I stopped listening to Wilco, which had been one of my favorite bands of the ‘90s because of their first three albums- “A.M.,” “Being There” and “Summerteeth,” as well as the fab “Mermaid Avenue” collab with Billy Bragg. In the blurps and hisses and detached vocals of “Yankee”’s entree, I heard betrayal. Right there was an artsy overreach that ditched “A.M.” in favor of Radiohead. Suddenly, I became a folk purist at Newport 1965 when Bob Dylan desecrated his apprenticeship to Woody Guthrie with a screeching electric guitar. I took the new Wilco CD out of the player and flipped it against the wall. Don’t you just hate when musicians put their artistic aspirations above the expectations of their fans? In the cut-out bin of my heart you’ll find “Wha’ ppen” by English Beat, “Neither Fish Nor Flesh” by Terrence Trent D’Arby and “YHF.” This was not my Wilco. But I’m finding that a lot of my distaste for the “Yankee” stretch had to do with the timing. I think I was just burnt out on the band. “Yankee Hotel Foxtrot” came out a few months after Wilco played what I’m sure was its very worst show in Austin, at Stubb’s eleven days after September 11, 2001. Guitarist Jay Bennett and drummer Ken Coomer were no longer in the band, with Jeff Tweedy playing all the guitar parts and the rootsy Coomer replaced by Glenn Kotche, who someone said played with Tortoise, which sounded about right. This was during the band’s label limbo, after they were dropped by Warner Brothers and before they were signed to a Warners subsidiary, and the show just had a cloud over the stage. Many of the songs were unfamiliar so after the show I met with Tweedy, to make sure I had the titles right on the new songs. As he recited “War on War, “Kamera,” “Ashes of American Flags” and the others off a crumpled setlist, there was no feeling in his voice. I hadn’t seen him so down since backstage after an Uncle Tupelo show at Club Dada in Dallas in 1993, when I proudly introduced my new bride to a room of guys with towels on their heads, staring at the floor. You contrast those two bummers with Aug. 15, 1999, when Wilco had played an incredibly fun and loose 30-song “surprise” show at Antone’s, opening with “Psycho Killer” by Talking Heads ending with Led Zep’s “Immigrant Song.” They touched down on everything I love about rock/soul/country on such originals as “I’m Always In Love,” “Outtasite (Outta Mind),” “Casino Queen,” “A Shot In the Arm,” “New Madrid” (Tupelo’s best song) and on and on. Also memorable: I was outside on Fifth Street, waiting for a cab, when Tweedy came bounding out of the club and thanked me for coming. My date was mightily impressed. “I told you I knew him,” I said in the cab. The first time I saw Uncle Tupelo, opening for Evan Johns and the H-Bombs at Lounge Ax in Chicago in 1990, they were a flannel-wearing mix of Husker Du, the Replacements and Soul Asylum. Not a coalminer song to be heard. They were good, but nothing special, in my opinion. Jeff started dating the club owner Sue Miller and she’d put him to work at the small bar at stage left, so the throngs pressed up front could get a beer without going through the whole crowd. I’d stand over there with him sometimes and get his opinion of the band onstage and I’ll tell ya, not a big fan of roots rock bands was Mr. Tweedy, who was about 22 and newly sober. He was a punk rocker who was more in line, tastewise, with the noise artists that would bring Steve Albini out to the club: King Kong, Jesus Lizard, Cop Shoot Cop and the like. I recall an argument I had with him about “Marquee Moon” by Television, an album he worshipped, but one I bought the same day as “Powerage” by AC/DC and therefore rarely listened to. The point is that Jeff always had an experimental bent and Wilco has been aggressively messing around with sound since the second album “Being There,” a self-expressionist “Exile” about accepting some responsibilities (marriage, fatherhood, bandleader) and rejecting others (spokesman of a generation.) The challenging soundscape of “YHF” should not have been so jarring. Tweedy is the Tom Petty of the WiFi set. He’s consistently good, if not particularly original. Tweedy and Petty were both fanatics first, but ones who had enough talent to move from the front row to the stage. On a scale of 1-10, Wilco doesn’t have any 10s. There are bands who rock harder and softer and there are better songwriters. Stage presence? They get upstaged by the signer for the deaf. But Tweedy and company have a whole lot of 8s and 9s. Every album had four really good songs, four kinda good songs and a couple total snoozers. The main thing I take away from my weekend of continuous Wilco music is that they don’t know how to make a bad record. Now, whether they know how to make a truly great record is a matter of taste. But here’s how I imagine that a Wilco record is made. Jeff Tweedy is watching one of his beloved crime shows on TV and there’s a street scene where a dealer and addict shake hands, exchanging a packet of drugs for a folded up bill. He thinks of the phrase “handshake drugs” and writes it in his notebook. The next morning he gets up and tries to write a song around that phrase. Where can I take it? He makes up a scenario of a controlled person breaking form, crossing a line he shouldn’t have. He strums a few chords from old Cheap Trick records, slowed-down and rearranged, and pulls a melody out of his pocket. Then he meets the rest of the band at the Wilco Loft, plays them this new song called “Handshake Drugs” and they all work on their parts, knowing that they have to do something or the song will sound exactly like “Heavy Metal Drummer.” Drummer Glenn Kotche cracks open a bottle of snap and we’re on our way to the symphony in guitarist Nels Cline’s head that turns into a 23-foot electric serpent. 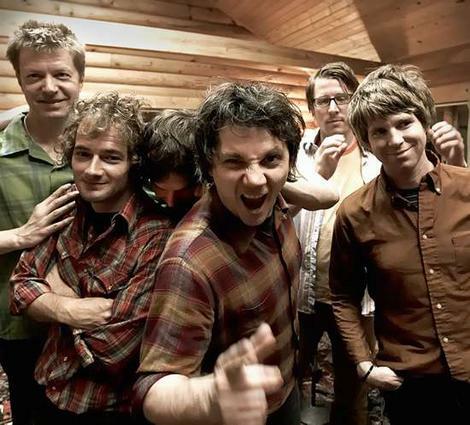 Describing Wilco’s music can be a little bit like Guy Fieri of the Food Network’s take on a bite: “You get the heat of the guitar, then the crunchiness of the manmade mechanical backbeat. Then there’s the melancholy smokiness of Tweedy’s vocals.” The Wilco sandwich is money, dude. They do what they do, got it down to a process of communication. And they never stopped being fans- that’s important. They know what they’d want to hear if they were on the passenger side and that’s what they make. So there’s not a whole lot of critical real estate between the worst Wilco album and the best. But here’s how I would rate the eight studio efforts. Has Wilco ever sequenced as perfect a coupling as “Art of Almost,” the band’s theme song, and the driving organ-pop number “I Might”? Those are 11 minutes to get lost in the music. The album ends with the 12-minute anti-epic “One Sunday Morning,” containing some of Tweedy’s best lyrics. You have to find your own meaning, but “One Sunday” seems inspired by a troubled father-son relationship, with Tweedy’s somber delivery over lovely piano accompaniment eventually leading to an understated jam that follows the tone of the proceedings. The album’s a little soft in the middle, but it includes a song that predicted Diamond Rugs (“Standing O”) and one (“Black Moon”) that cuts through Townes Van Zandt’s backyard on the way to the symphony. You can use the first four letters of Sue Miller’s name to spell “Muse.” Recorded at Willie Nelson’s Pedernales studio, this is Wilco’s “Get Happy,” an old jukebox of self-indulgence that somehow works. Tweedy’s marriage was in trouble (“she’s a jar with a heavy lid”) and he missed his infant son, so he manufactured a new family of songs whose melodies echo with times of comfort- Motown, Big Star, a prescription refilled- while the lyrics are often disturbed. This is music you leave when the phone goes right to the machine and you’re glad it did. Interestingly, this record was interrupted, with a long break to record “Mermaid Avenue” with Billy Bragg, then back to Pedernales. Welcome Nels Cline. After being hired for the “Ghost Is Born” tour, the brilliant avant-garde-tarist Cline became a full-fledged member and gave the otherwise soft and reflective “Sky” its game-changing electric moments. The collaboration is at its most exhilarating on “Side With Seeds,” a slow yearner elevated with electric swirls from Cline and yet its somber core is unshaken. One of the biggest criticisms about Wilco- that much of their music is built on snippets of old records- has an exhibit A with “Hate It Here,” a song that nicks Van Morrison, the Beatles and Neil Young. But then you have songs of immaculate conception such as “On and On and On.” In a totally solid body of work, this is Wilco’s most cohesive album. The inspiration for the album’s title- a 1979 movie starring Peter Sellers as a simpleton mistaken for a political guru – says a lot about where Tweedy’s head was during the recording. This shaggy kid with a punk rock heart didn’t ask for anything more than an audience, but had to deal with being a voice of a movement that would eventually be called Americana. “Being There” traces a lust rock and roll and rekindles the affair. The band’s self-production isn’t very crisp or this double disc would be higher. Tweedy entered rehab for an addiction to painkillers just two weeks before the release of “Ghost,” the band’s fifth studio album, and when he came back sober it was too late to delete the 12 minutes of gray noise that close the LP. The album’s theme of self-identity was manifested by more significant band contributions. Also because this was the album between the dismissal of Jay Bennett and the addition of Nels Cline, Tweedy played most of the lead guitar and leaned heavily on Television records (and a lesson from Richard Lloyd) for guidance. Ironically, this organic-sounding LP was pieced together through Pro Tools software, but Tweedy came in armed with a great batch of songs. This LP could be billed to the Traveling Wilcoburys; I checked the liner notes looking for George Harrison’s name. It’s a pleasant, enjoyable exercise, as Tweedy harvests melodies like he’s got them growing in his head. But there’s nothing really significant about this selfie supergroup attempt. This record’s identity problem starts with the album title and never really has a sense of being anything more than a collection of pretty good songs. After the breakup of Uncle Tupelo, Jay Farrar formed Son Volt and had great success with that band’s debut “Trace.” Tweedy flew his own flag as Wilco, enlisting other later members of Tupelo, including Max Johnston, now of the Gourds, and rushed out a calling card instead of a great record. Though this album was launched with a spectacular showcase at SXSW in 1995 and Wilco immediately established itself as a great live act, Farrar won round one. That was a long time ago. This entry was posted on August 24, 2013 at 5:20 am	and is filed under Music. You can follow any responses to this entry through the RSS 2.0 feed. You can leave a response, or trackback from your own site. Welcome to the club. I couldn’t agree with you more on The first two tracks of Whole Love. One of the most amazing songwriters today.